Like most of you, I have a few New Year's Resolutions to make (and hopefully not break). One of them is to take better care of myself and my family. 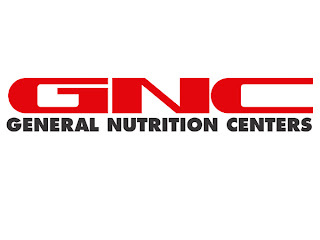 GNC is a truly great place to start. From Vitamins and Supplements to Energy and Endurance to Diets -- GNC has it all for your every need. Although I'm beyond the baby-making days, I am still keenly interested in providing my daughters (Michelle and Liz) with positive information to help them make good nutritional choices. Michelle was born with a condition known as Spina Bifida, a Neural Tube defect. Although she has experienced many operations and many painful days as a result -- her spirit never falters. She walks... she runs... she drives... and she's been blessed by G-d.
Spina Bifida is caused by a lack of Folic Acid during pregnancy. It can be devasting to some children. Some, like Michelle, are able to function normally. GNC has an amazing line of products to aid pregnant or planning-to-be-pregnant women. 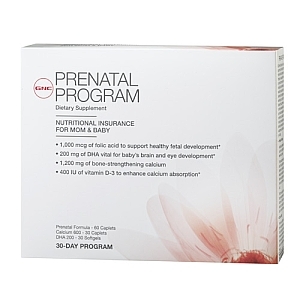 GNC Prenatal Program is a daily multivitamin program that provides nutritional support for both mother and baby before, during and after delivery. Pregnancy is a special time in a woman’s life and an important time to be mindful not only of your individual nutritional needs, but the nutritional needs of your baby as well. 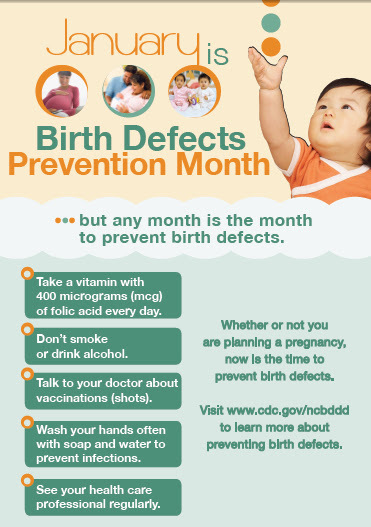 Maternal nutrition before and during pregnancy affects both your well=being and your infant’s growth. As your baby develops through the early phases of life, your nutritional needs will also increase. After delivery, you will need an adequate diet rich in essential nutrients such as calcium and folic acid to support nursing and replace depleted nutrient stores. This delicately blended multivitamin offers supplemental nutrition support for both you and your baby. I am confidant that both of our girls will be taking nutritional supplements and vitamins all during their child-bearing years. 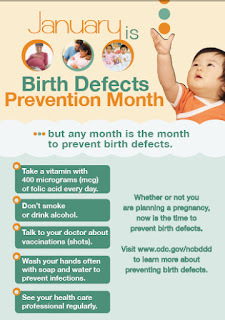 For myself, I no longer need pre-natal vitamins. Nope -- I need ENERGY!!! My go-to energy booster is Click Protein Powder. I seriously can't function without it. 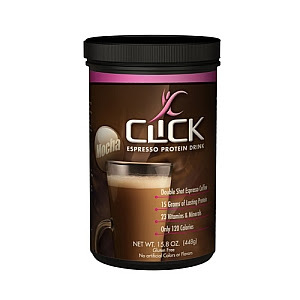 Clickco Click® Espresso Protein Drink™ give me everything I need to get up and get moving. The perfect fit, the all-in-one energy drink with a rich, creamy delicious taste. A healthier alternative to sugary coffee and energy drinks. Perfect to start your day, as a mid afternoon snack or before or aftera workout. Now you can CLICK On to a healthier for you, long lasting energy lift. The folks at GNC recognize the importance of a healthy lifestyle and have generously offered my readers a chance to start the New Year off right with a $50 Gift Card! 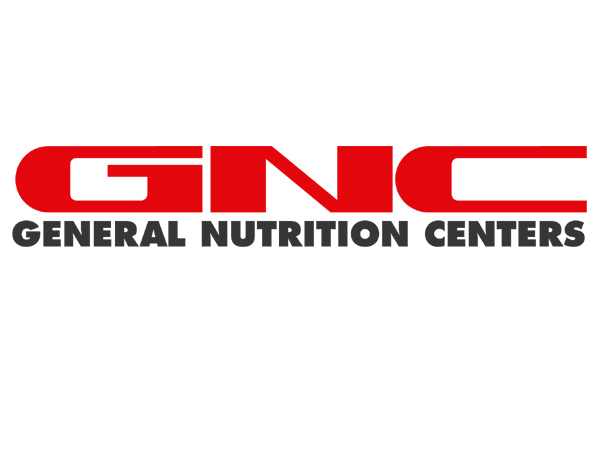 That's right -- one lucky reader will win a GNC Gift Card! *Contest open to USA only. One entry per person per household. All entries will be verified. Contest ends on 1/12/12. I received a GNC Gift Card as compensation for this review. The opinions expressed herein are my own and based on my own observations and use of the products. I would buy New Chapter Organics® Green & White Tea Force! i would get some diet supplements since i just had a baby and i'm looking to lose the weight! i'd get 100% whey protein. I'd get some Supreme Protein bars. Since you did such an excellent job on this product, I am going to try it for sure!! I'd buy hip and joint health vitamins for my dogs! I'd buy the Vitapack for women vitamins. I would probrably get a case of the RockStar energy drinks so I can keep up with my two sons (3 and 1 yr old)! I;d try the Nighty Night tea. Thanks. i would get flax seeds. I'd buy some Fish Oil. triple strength fish oil. love it. I'd love the sibu Beauty Sea Buckthorn Replenishing Night Cream. I think I would get the Nutiva® Organic Extra Virgin Coconut Oil! I would buy some Amplified Wheybolic protein powder for my husband and an energy drink for myself. I would use it on a Timex Easy Trainer Watch. I would like to try the Amazing Grass Green Superfood! I have a Rottweiler that has hip dysplasia and had no idea GNC had supplements! I would get the GNC Pets Ultra Mega Hip & Joint Health for Adult Dogs - Beef Flavor - GNC PETS 1020873 - GNC! I'd get Optimum Nutrition protein powder. I would get the GNC Calcimate Plus® 800. I'd get the MET-Rx® Big 100 Colossal High Protein Brownie Bar - Super Chocolate Fudge - MET-RX - GNC. I'd get the Rhino Gummie Bear vitamins and some chewable pro-biotics for my kids and I.
I would buy some prenatal vitamins! we use lots of whey protein, I'd like to try another brand! I'd like to try the One With Nature Almond Soap and Vanilla Oatmeal Soap. I'd like to get my kids the Hero Nutritionals™ Yummi Bears vitamins! I'd buy one of their big containers of whey protein! I'd buy derma e® Scar Gel. I would probably buy the Hydroxycut since I've been wanting to try it. I would try the Total Lean 7 Day Fast Loss Kit. I would get myself some GNC Chromium Picolinate to help raise my metabolism and give me some much needed energy. Their website is not working properly and I keep getting this error message: "ERROR: CookieManager.get URIError: malformed URI sequence" so I couldn't see all they have to offer. BUT I do see that they carry 100% Pure and Avalon Organics brands and I know I would use my GC to get stuff from those two brands!